Movember is set to bring awareness to some of the biggest health issues faced by men: prostate cancer, testicular cancer, and mental health and suicide prevention. 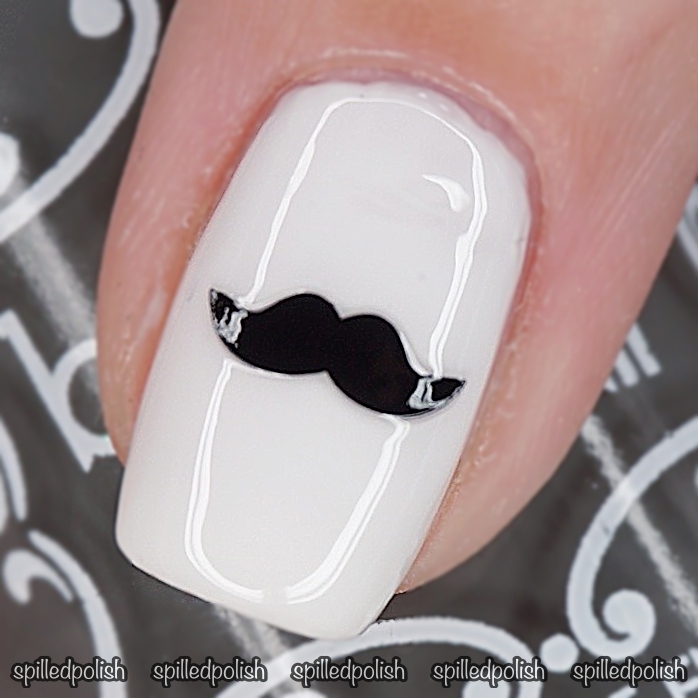 I can't grow a moustache, so I thought I'd decorate my nails instead. 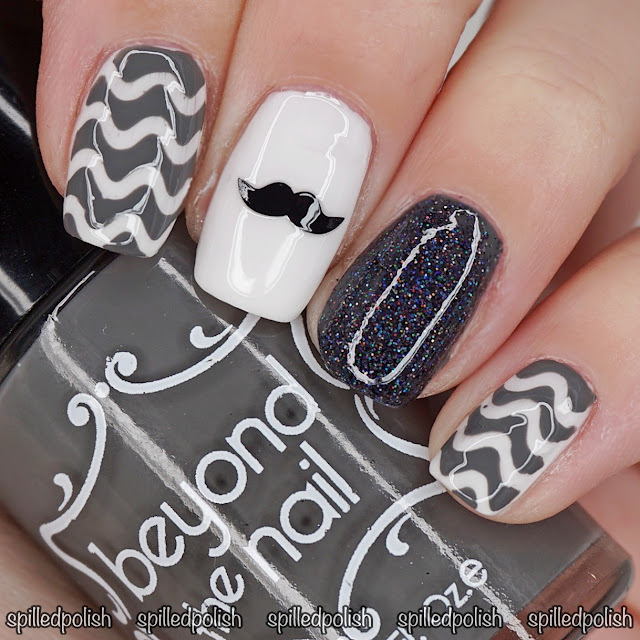 I started by painting my ring finger with two coats of Beyond the Nail - Holographic Black Microglitter. On my other nails, I painted two coats of Beyond the Nail - Bright White. 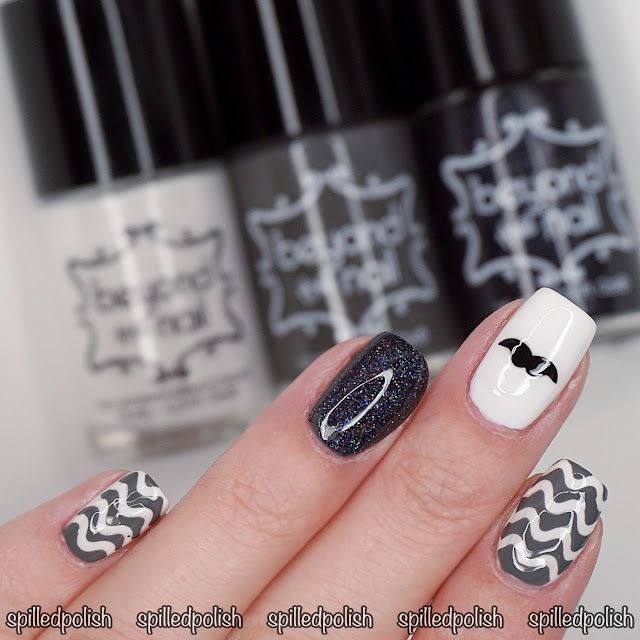 When everything was dry, I placed some Wavy Squiggle Nail Guides on my pinky and index finger and painted over it with Beyond the Nail - Gravestone. I immediately peeled away the nail guides while the polish was still wet. I added a Mustache Nail Decal to my middle finger and topped each nail off with one coat of PRO-FX - Quick Dry Topcoat.